the Newton's Nook Designs blog! This Biweekly Challenge was all about COLOR! 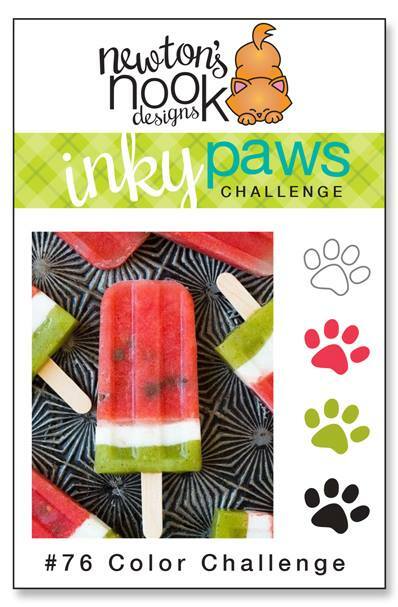 Inky Paws Challenge #76 Winner! 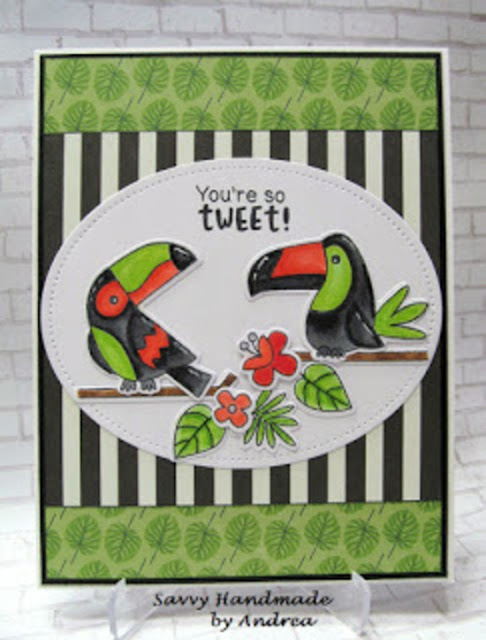 Andrea combination of pattern papers (black and white striped and light green with leaves) provide a wonderful backdrop for her colorful toucans from the Toucan Party stamp set. Lisa's tower of boxes is the purr-fect playground for any furry feline! This tower of delight was created by masking images from the Newton Loves Boxes stamp set. Her combination of the black gingham background, fabulous coloring, and splattering of red hearts make this a truly delightful card! 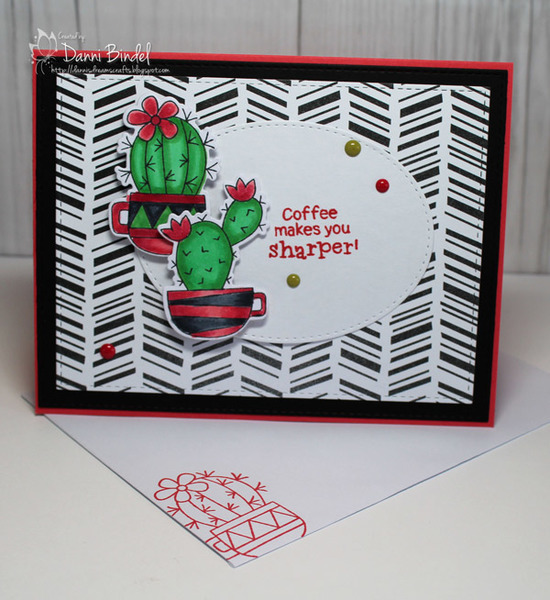 The bold background paper on Danni's card works fabulously with the Cuppa Cactus stamp and die set. She uses the challenge colors to shade the coffee cups and cacti. 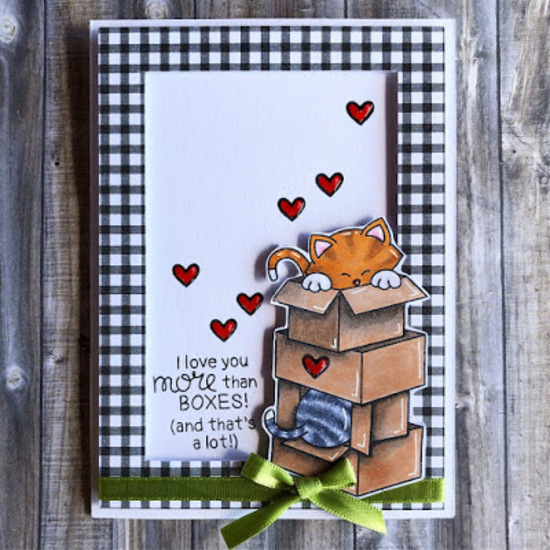 She stamps the fun sentiment on an oval die and finishes with enamel dots. 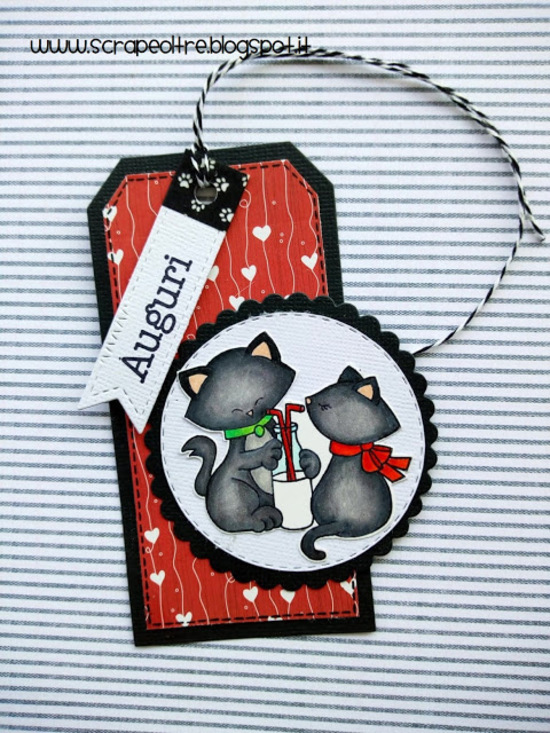 This darling tag by Kicka showcases the Newton's Sweetheart stamp set wonderfully. The selection of pattern paper with the little hearts provides a romantic theme for this feline couple. The green collar and the little paw prints on the sentiment tag are perfect touches! 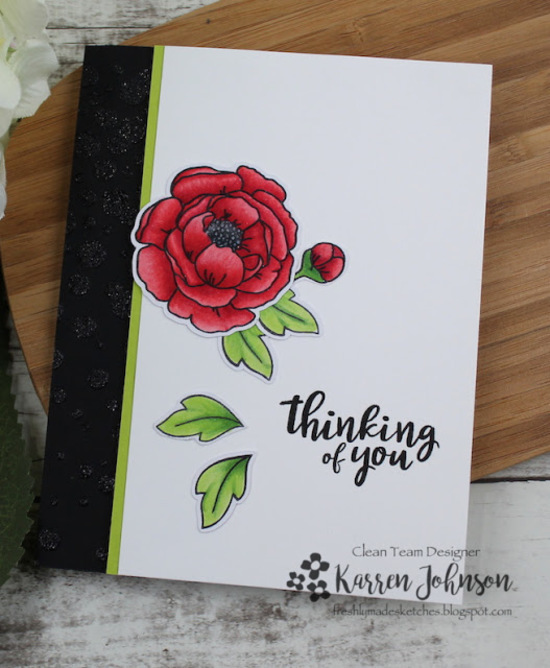 Karren brings us this lovely card using the Peony Blooms stamp and set die set. The black stripe with the glittery embossed polka dots contrasts beautifully with the wonderfully shaded flowers and leaves. Such a wonderful CAS card! 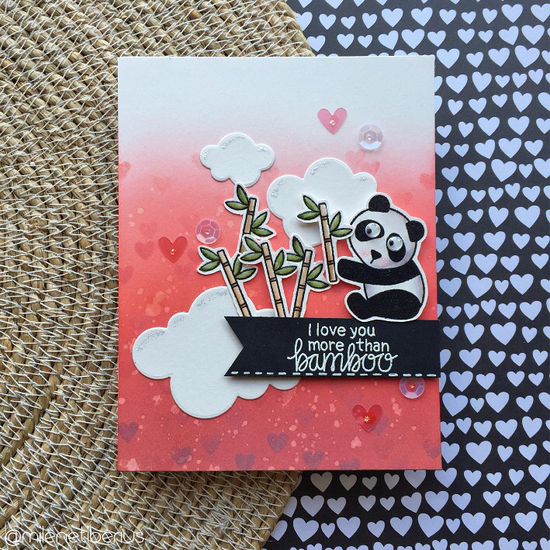 Milene's amazing blended background provides a wonderful means to showoff her darling panda, with his googly eyes, from the Playful Panda stamp set and die. To incorporate the green from the challenge, she die cuts and colors several bamboo stalks! Way cute and fun! Congrats to Andrea, loved her card! Thanks for choosing my card as a favorite! Made my day! Doing the happy dance! My list of wants is long... so I'm super excited about the store credit. There were so many wonderful cards using the challenge colors. It's always fun seeing the different creative ideas. Thanks so much for the shout out! All the cards shown here are beautiful! Thanks for having my card be one of the faves! I'm excited for the new challenge :) and congrats to Andrea!! Thanks for having my tag be one of the faves!